When Cape Carteret first incorporated in 1959, it consisted of a mere 15 residences, one retail store, and a property development office. 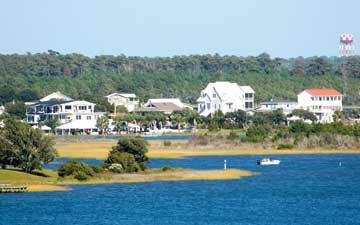 Fifty-six years later, the town that was once just a vision to founder William Britton McLean has prospered into a vibrant community at the western end of Carteret County, minutes away from Cedar Point, Swansboro, Emerald Isle, Bogue and Peletier, NC. McLean was instrumental in the inception of Cape Carteret, developing plans for expansion of the quiet, coastal community and then donating the land for the planned expansion. From these early days of incorporation, Cape Carteret has grown to a population of just over 2,000, including many retirees and second home owners. 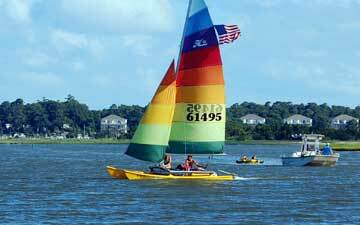 Water sports are abundantly popular in the area, certainly along the Bogue Sound and the Intracoastal Waterway. Fishing, boating, swimming and kayaking are all popular outdoor activities. 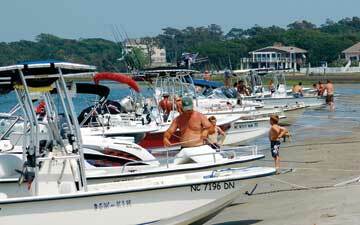 Cape Carteret also has its own boat ramp at the end of Manatee St., a less crowded alternative to North Carolina's public boat ramps. For the land lovers, biking and hiking trails are readily available along the coast and through the Croatan Forest. Cape Carteret was one of the first communities in North Carolina to establish a community watch program. The town offers its residents a local library, two local churches, a number of restaurants and a popular area shopping center. 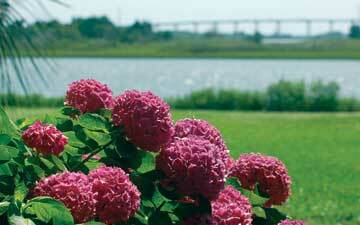 Cape Carteret is also known for a very active Garden Club. The club was established in 1977 and since then has worked on a number of projects throughout the community, introducing "green" gardening and conservation methods to the coast.